the other day my son came in with a pink nose and yelled "MOM! I'M FREEEEEZING! 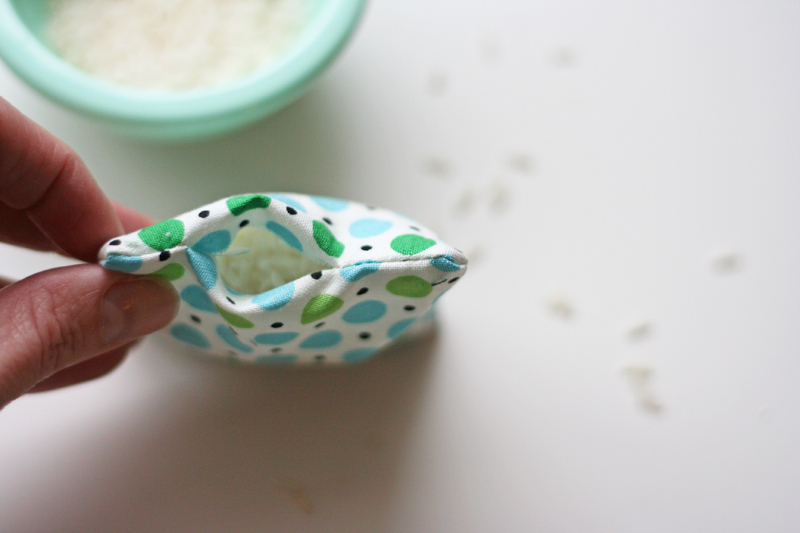 do you still have that rice bag thing you made? can you heat it up?" yeah i still have my rice bag feet warmer i use it all the time, because i'm like always cold. so i said "yeah, i have it, hold on." i heated it up, gave it to him. as that son was warming up with oohs and ahhs coming out of his mouth, another one of my sons walked in from outside with pink nose in tow, and complained "hey i want that!" and well at that moment the light bulb went off. "stop it. 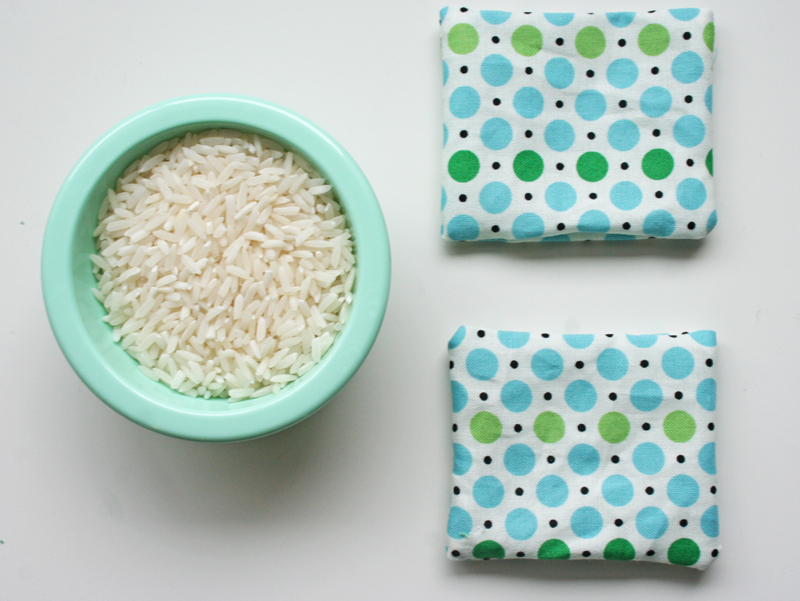 i'm going to make you each rice hand warmers." i started and then couldn't stop making them. 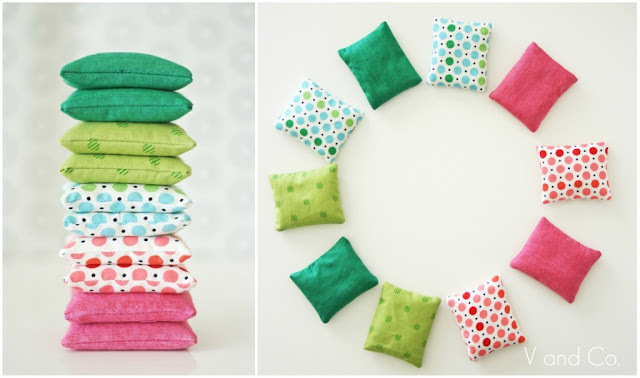 trust me you wont be able to make just one set either, you'll be making a mountain of them because of how cute they are, but also because you'll need to make extras for extra little(or big) hands that will seek shelter and warmth from being in the cold. it's already been known to happen over here. true story. *scrap of fabric (it just needs to be enough to fold over to cut out 1 strip (double fold) at 3 1/2" x 6"
*those strips of fabric cut again in half at 3 1/2" x 3"
1. place right sides together for both sets of squares. 2. using a 1/4" seam allowance sew along one side of your squares. **instead of doing each hand warmer separately, *chain* your squares. 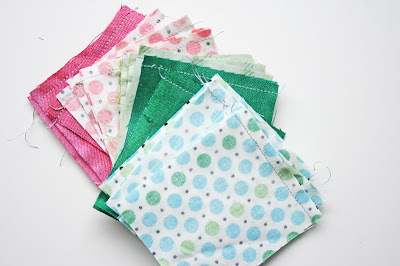 to chain your squares sew your first seam and then instead of cutting the threads, place your next square to be sewn. 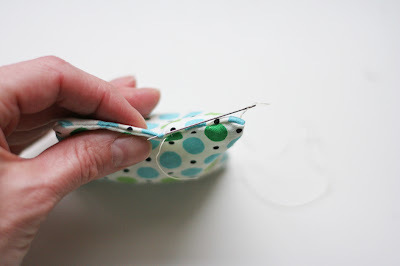 you will end up with a couple of stitches that will not sew onto any fabric, hence making a chain. 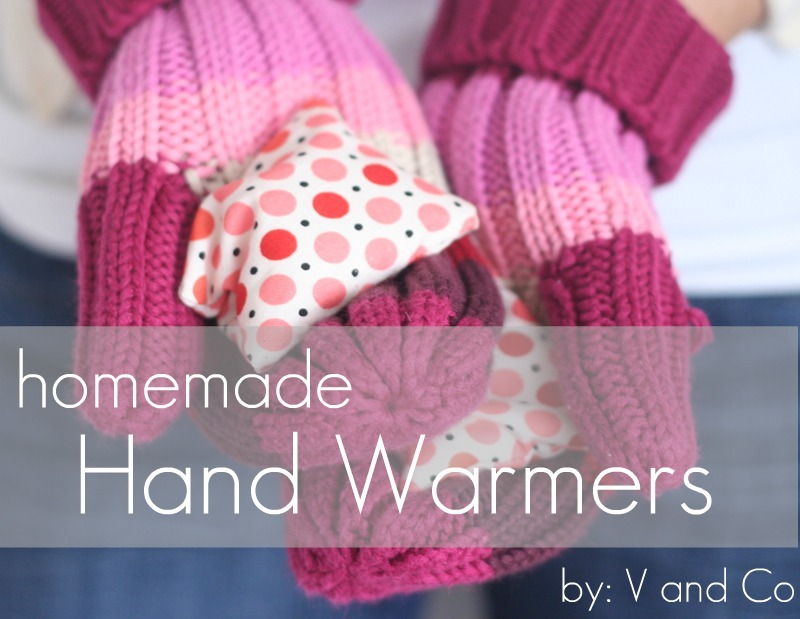 this will be helpful is you are doing a lot of hand warmers. 3. after you have sewn one side on all your squares, you can cut your *chain* like the picture above. *here is a picture of all the squares having one side sewn and then had the chain cut. 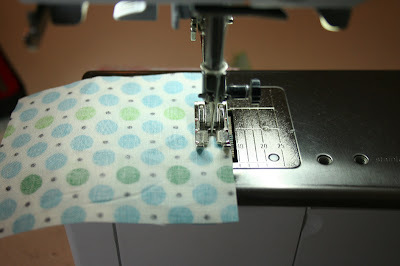 5. the fourth side sew your seam and leave a 1 1/2" opening in the middle of your seam. 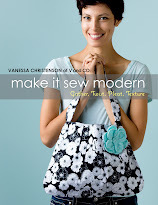 (back stitch at the opening so it does not rip open for the following steps. 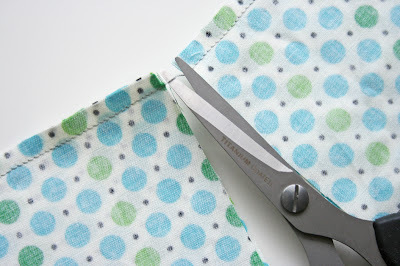 6. once all four sides are sewn, cut at an angle your corners making sure you do not cut through the "X" your seams make. 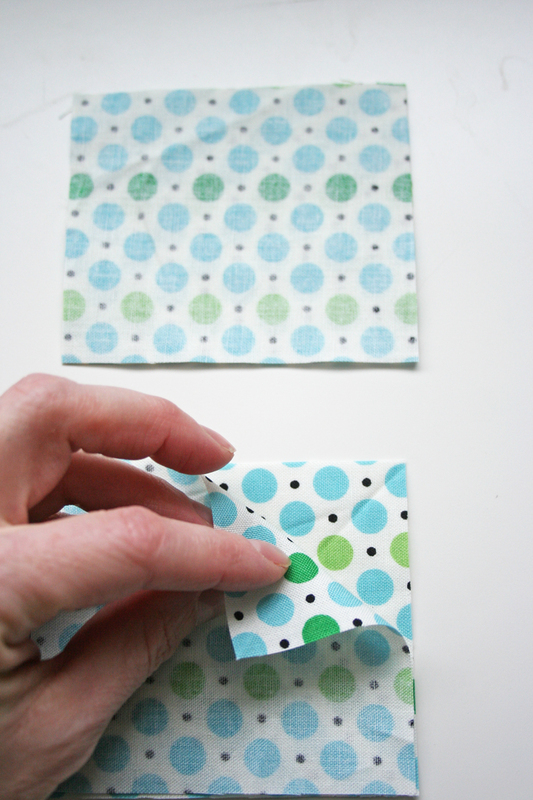 7. turn inside out, and using a pin pull out your corners as much as you can. 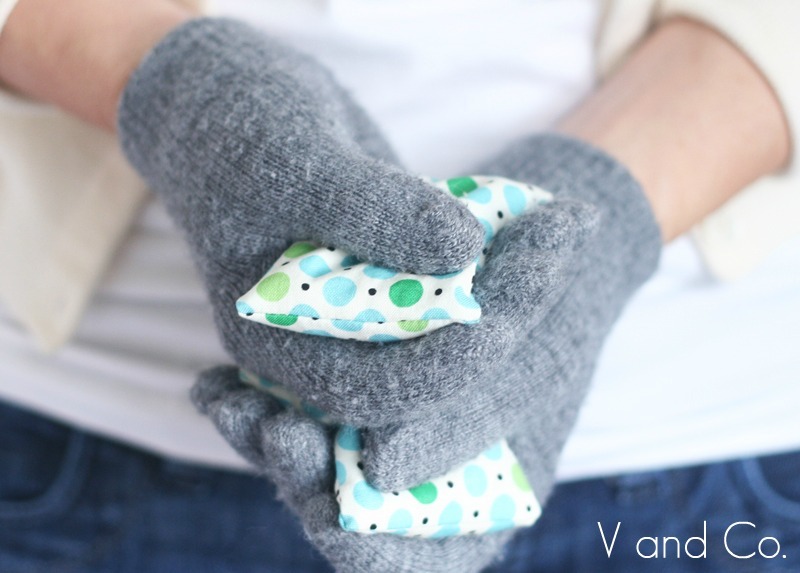 8. fill up your hand warmer at least 3/4 full. 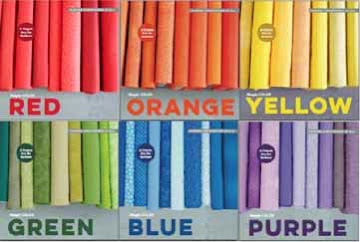 **add some lavender for a calming smell. 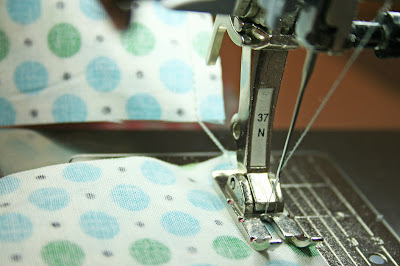 9. and hand stitch closed. *warm in the microwave for 15 seconds. *hold in your hands and warm up your digits. *i do not recommend heating them up for longer amounts than 15 seconds as it may cause burns on skin. so far these have been a huge hit at our house, and at the neighbor's house, and with my kid's friends that have come over. 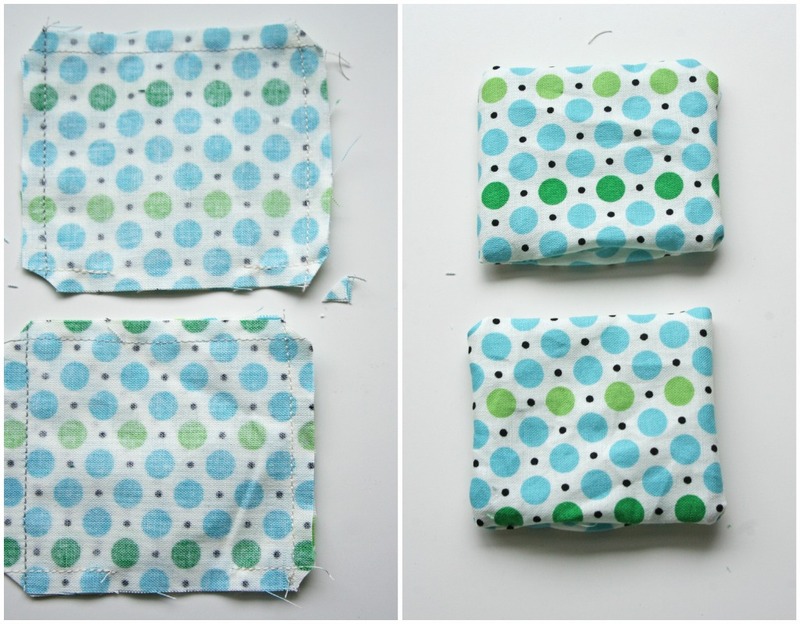 i can not be held responsible for boys using these as hacky saks and or pelting mechanisms. because trust me...mine have and yours probably will too. in cases where some of the hand warmers go missing...please go look in your daughter's playhouse...because they make really cute barbie pillows. i hope your house enjoys them as much as our house has.